A successful entrepreneur once told me that he credits his accomplishment in business not only to the idea he had, but also to the fact that when he was starting out, he was able to perform so many of the necessary tasks needed almost as well as a specialist could do them, and this kept his costs down. At the beginning, he wasn’t just the guy who designed the product; he also handled the production, marketing, and accounting, and at the end of the day was the janitor as well -- and he did all these things pretty darn well. Later, when he could afford it, he brought in some of those specialists to help him take his business a step further. The same sort of thing can happen in audio gear. If one component can perform well the tasks of many, you can create a great system at far less cost than if you have to buy a separate component for each function. 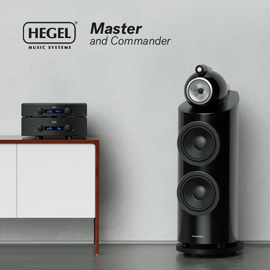 The most common example is the integrated amplifier, which combines a preamplifier and power amplifier in a single chassis, and costs less than separates built to the same standard. I know from experience that a well-designed integrated can deliver most of the performance of expensive separates for far less cost. Hold on to that thought. 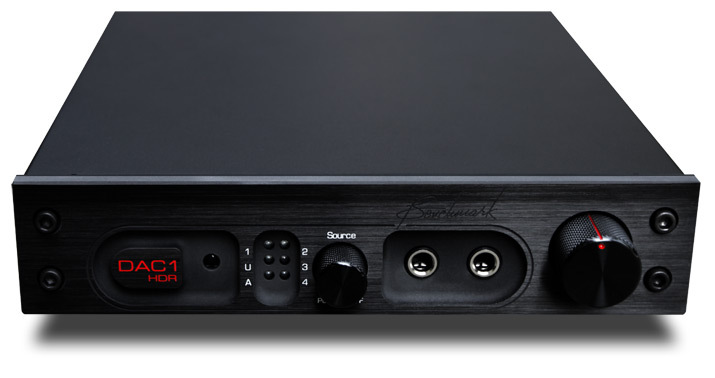 Benchmark Media Systems’ DAC1 HDR ($1895 USD) combines a digital-to-analog converter, preamplifier, and headphone amplifier in one compact, all-metal chassis. It’s the latest product in Benchmark’s DAC1 series, which began with the DAC1 (a D/A converter with headphone amplifier), and continued with the DAC1 USB (which added a USB input) and the DAC1 Pre (the first with analog inputs). 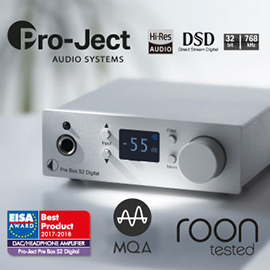 The HDR, the most expensive DAC1 so far, is claimed to include all of the features of the preceding models, as well as a High Dynamic Range (HDR) volume control and a remote control. Benchmark sells its entire product line through dealers and distributors, as well as factory-direct through their website, which offers fast shipping and a money-back guarantee. The DAC1 products share the same basic chassis design and come with 0.25”-thick aluminum faceplates finished in black or silver. They’re compact (about 9.5”W x 1.7”H x 9.3”D) and lightweight (3.5 pounds). In fact, you can carry the DAC1 HDR easily in one hand; it seems almost toylike next to traditional, full-size components, which often weigh many times as much. The DAC1 HDR uses 24-bit/192kHz DACs and Benchmark’s proprietary UltraLock clocking system, which, they claim, is so effective at reducing jitter that cables of any quality level will yield the same measurably -- and, presumably, sonically -- good results. 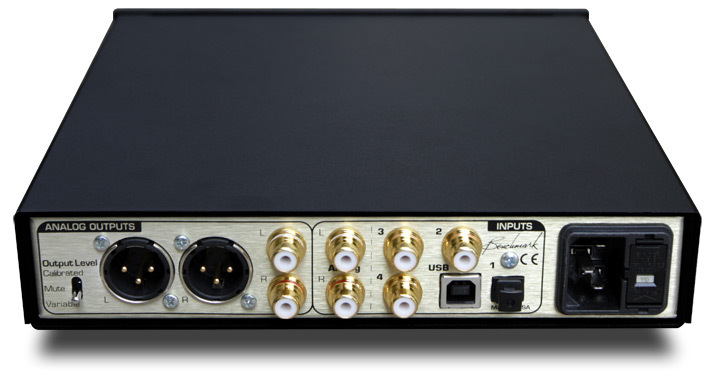 On the DAC1 HDR’s rear are three sets of coaxial digital inputs (RCA), as well as USB and optical (TosLink) digital inputs. According to the manual, the coaxial and optical inputs will support word lengths of up to 24 bits and sampling rates from 28 to 195kHz. The USB input will accept up to 24-bit words and 44.1, 48, 88.2, and 96kHz sampling rates, and is said to work with the native audio-device drivers of Windows, Mac and Linux operating systems. All inputs are resampled to 110kHz. Benchmark’s designer gave me the full rationale for why that rate was chosen; it’s long and technical, but suffice it to say that they feel it offers the very best performance for this circuit design. Also on the rear panel are one set each of balanced (XLR) and single-ended (RCA) analog outputs, and an IEC receptacle for the detachable power cord. The DAC1 HDR’s one real shortcoming is its single pair of analog inputs -- not enough. A real preamp should have at least two, and preferably three, with one being balanced. (I say more about this below.) There’s also a switch labeled Output Level, though that doesn’t really tell you what it does. This switch can be set to: Calibrated, which gives a fixed output level that can be adjusted internally with “10-turn trimmers” to accommodate the sensitivity level of the partnering preamp or integrated amp; Mute, which disables the rear analog outputs but leaves enabled the two front headphone jacks; and Variable, which attenuates the output level in accordance with the volume control on the front panel, and is how I suspect most people will use the HDR. The volume control is on the far right. At its heart is a motor-driven Alps potentiometer that can be controlled by the small, supplied remote control, which can also be used to turn on the DAC1 HDR, select the input, and perform two other volume-related functions. Press Soft Mute and the volume is gradually reduced; press it again and the volume is ramped back up to the original level -- handy if the phone rings during a listening session. The Dim button reduces the volume level without completely muting it (you can set the lowest volume level with the remote). These are just the main features of the DAC1 HDR that are probably most relevant to audiophiles. 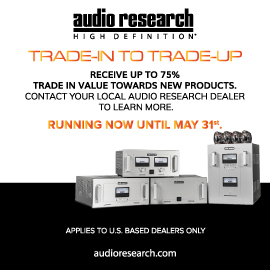 Benchmark caters largely to the professional audio community, and therefore has designed the HDR and all the DAC1 models to include tremendous flexibility, to allow them to better work with any sort of gear they might be hooked up to, whether in a recording studio, on location, or at home. The fixed-level output can be altered with the 10-turn trimmers inside, as mentioned above, the headphone output can be adjusted internally with jumpers to accommodate different headphone sensitivities, and the LEDs on the front light up and flash differently depending on their status and to indicate an error condition. But there’s more to the DAC1 HDR than that, and those who want to know more should peruse the manual, which is available for download at Benchmark’s website. Reading it makes clear that Benchmark is an engineering-driven company bent on delivering state-of-the-art performance in the analog and digital domains, and proving that they’ve done so with their products’ exemplary measurements -- of which you’ll find plenty in the manual. But while I’m sure some DAC1 HDR buyers will be interested to see how it performs on the test bench, what matters most to audiophiles is how it sounds. A system that takes advantage of all the functions of the DAC1 HDR can end up being strikingly simple. Because my reference CD player is Simaudio’s Moon Evolution SuperNova, for its near-state-of-the-art performance, I focused on the Benchmark’s performance with CDs. For most of my listening, the DAC1 was fed digital (coaxial) and analog (single-ended) signals, both from the outputs of the SuperNova. This way, with both components’ DACs running through the Benchmark’s preamplifier stage, I could compare their sounds. If you wanted to forgo speakers, you could listen only through headphones -- for this review, I used Grado SR60 and Sennheiser HD 580 ’phones. 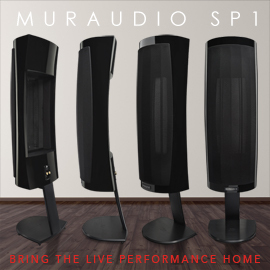 Mostly, though, I listened through speakers, connecting the DAC1 HDR’s single-ended and balanced analog outputs to a pair of Stello M200 monoblock amps driving first PSB Synchrony One speakers, then Revel Ultima Salon2s. The digital cable was the i2Digital X-60; single-ended interconnects were Nirvana S-L, and balanced interconnects were Nordost Quattro Fil. Evaluated separately or together, the DAC1 HDR’s main sections -- DAC, preamp, and headphone amp -- shared the same sonic character: a bold, dynamic, incisive sound that belied the Benchmark’s small size and light weight. The DAC1 HDR had levels of detail, clarity, and transparency that rivaled those of far more expensive, best-of-breed components. The thing sounded startlingly clear. Whether it was a simply produced recording of an a cappella performance, naturally recorded with space and ambience around the singer; or an in-your-face, hard-driving rock album whose soundscape was a pure studio creation; or a work for full orchestra in which the space the musicians were recorded in stretched from speaker to speaker and then beyond the front wall, the DAC1 HDR had the resolution and precision to convey all of these recordings with tremendous accuracy. 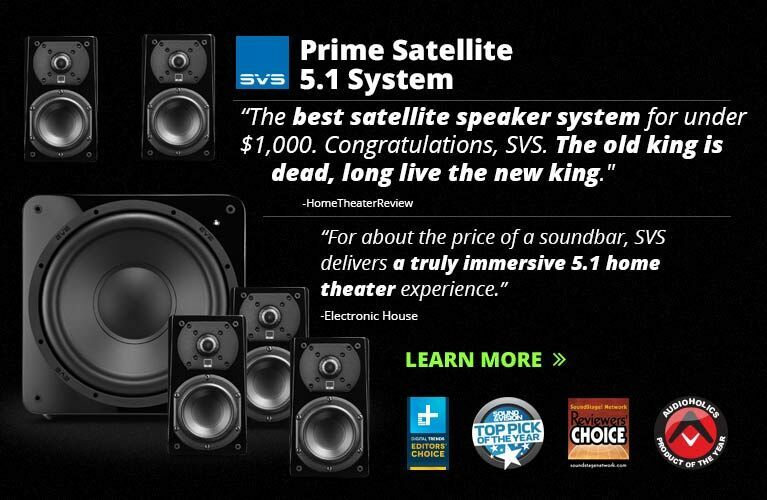 This is no surprise, really, given Benchmark’s background in pro audio and their bent toward top-level measured performance, including full-bandwidth reproduction, extremely good linearity, and very low distortion. A colored, “voiced” sound isn’t their thing. The DAC1 HDR sounded extremely controlled and ultraprecise. It was interesting to hear how the DAC1 HDR stacked up when I tried to isolate the sound of each of its main sections and compare it to the sound of a separate component. But the “integrated” nature of the DAC1 HDR’s design means that such isolation can go only so far -- there’s a lot of shared circuitry, and no way to neatly divide this single component into three discrete separates. For example, the DAC section will always run through the preamplifier stage, and the headphone amp depends on the preamp. Still, I did my best to hear how each section performed. The product category I’m least familiar with is headphone amps. Over the years, I’ve used numerous headphone amps, mostly from HeadRoom, though I haven’t critically reviewed any in some time. But I know how they work, and I know what a good one can do to optimize headphone performance. The DAC1 HDR took full control of my Grados and Sennheisers and drove them effortlessly and cleanly, not unlike when a high-powered amp takes hold of your speakers with an iron grip to produce a sound with immediacy and focus. In terms of driving the ’phones, I found nothing to fault, and the sound I heard was as described above: bold, incisive, dynamic, and resolving -- the equal of good HeadRoom products I’ve used in the past, such as the Home and Maxed Out Home. That said, I recommend that headphone fanatics buying a DAC1 HDR specifically for this function take my comments only as a starting point and evaluate it for themselves. For me, headphones come a distant second to speakers, and the DAC1 HDR’s fine performance with ’phones is more or less a bonus. The key areas I focused on were the preamp and DAC sections. Using the DAC1 HDR as a preamp, I quickly grew to admire its exceptional transparency and lack of coloration. I hooked up my Simaudio SuperNova CD player to the Benchmark’s analog inputs and found that, in terms of cleanness of sound, the DAC1 HDR was the equal of the Anthem Statement D2v’s inputs configured in Analog Direct mode (basically, bypassing all processing circuitry for the cleanest, purist signal path). The frequency extremes of the audioband -- deep, well-controlled bass and superbly extended highs -- remained intact, and the midrange was strikingly clear. The DAC1 HDR also had outstanding resolution, letting me hear deep into recordings. Case in point: The soundtrack album of The Mission (CD, EMI 811267) has long been one of my favorites for the size of the chorus, the subtle details, and the width and depth of the soundstage -- assuming the audio system can present it accurately. With low-resolution components, the choral performances become a mash of voices flat as a pancake, and many details of the sound simply disappear. With a hi-rez device such as the DAC1 HDR it was easy to pick out those individual voices, the width and depth of the stage became distinct, and subtle nuances that had been masked became apparent. For example, at the beginning of track 3, “Gabriel’s Oboe,” a drum can be heard way back on the soundstage. Because of the drum’s distance from the mikes, its sound is way down in level; if a system’s resolution isn’t fine enough, the drum is lost in the mix -- you can’t hear it -- and the decay that lingers after each drumstroke is gone. The DAC1 HDR was very resolving of such details, and surprisingly dynamic for its size and price; the sound of that drum was distinct in the mix as a pinpoint image in space, with the right amount of attack and a decay of perfect length. It’s hard to fault the sound of the DAC1 HDR’s preamp section -- I couldn’t hear that it was covering up anything. But a preamp needs to do more than sound good. While the Benchmark has more than enough digital inputs, its single set of analog inputs isn’t enough for me or, I suspect, most people. 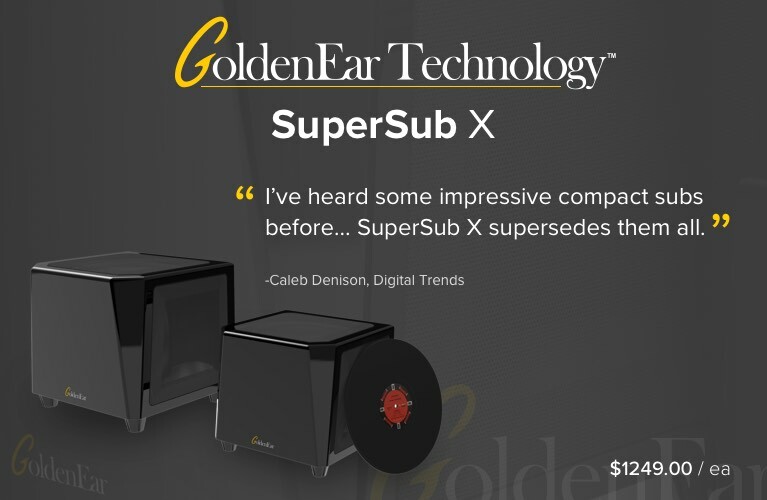 I have not only the SuperNova, but a turntable with an external phono stage, and other components that I use from time to time. I want the ability to switch between them and not have to unhook one thing to hook up another. The DAC1 HDR’s preamp section will be good only for the simplest systems, at least as far as analog signals go. The other sore point is the DAC1 HDR’s motorized volume control. It worked well enough, but I found that when I pressed one of the volume buttons on the remote, the volume changed too fast. There’s a fine line between too fast and too slow -- too slow and it takes ages to ramp up the volume, too fast and you end up with the volume shooting up or down, making it troublesome to get the level just right. I’d say that the HDR’s volume control moves about 25% too fast -- a small thing, but when something is marketed as a preamp, it matters. The Benchmark’s DAC section is really hard to fault at the price. Everything I’ve said about dynamics, clarity, resolution, and precision apply here. In fact, the HDR’s DAC section approached the state of the art, which is why the original DAC1 caused such a stir when it was launched about five years ago at a price of $995. That kind of performance for around a grand was unheard of ten years ago, and 20 years ago it probably didn’t exist for any price. 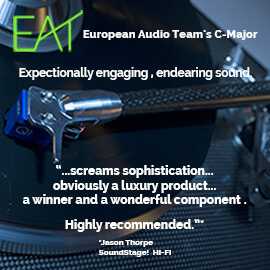 (The Compact Disc has now been around for almost 30 years, but it took DAC technology many of those years to mature. Most CD players and DACs of the 1980s sounded pretty abysmal; they didn’t get really good until the late 1990s and early 2000s.) The DAC1 HDR carries on Benchmark’s tradition of approaching cost-no-object performance for a very reasonable price. But note that I said approaching, not meeting or exceeding. I pitted the DAC1 HDR’s DAC section against that of the Simaudio Moon SuperNova CD player, which retails for more than three times as much. The clarity, detail, and soundstaging of the two DAC sections were shockingly close -- shocking in the sense that, in most regards, the Benchmark’s performance was basically on a par with the Simaudio’s. I was really impressed with how detailed and clean the DAC1 HDR sounded against the SuperNova, and how clear both sounded through the midrange. The differences were at the extremes: the very low bass and, mainly, the very high highs. Bass-wise, the DAC1 HDR sounded tight and visceral, packing a tremendous wallop that was the equal of the other DACs and similarly priced CD players I’ve used. The SuperNova, though, gave the subjective impression of going just a touch deeper and with more heft. When drums kick in on such bass-heavy tracks as “Objection (Tango),” from Shakira’s Laundry Service (CD, Columbia 63900), the SuperNova sounded ever so subtly more powerful. But this is a small thing; only when the Benchmark was compared with the very best components costing much, much more did it come up even slightly short in the bass. Much more apparent was the difference in high-frequency performance. Whereas the SuperNova is extremely extended in the top end, with superb detail, it never sounds bright or hard unless the recording itself is excessively so. It’s one of the most detailed-sounding CD players I’ve heard, and also one of the most refined up top, which is one of the main reasons I continue to use it as a reference. The DAC1 HDR’s DAC section was clean in the highs but lacked the ’Nova’s sweetness, and could come across as a touch edgy and hard when the recording tended that way. Here I accuse the Benchmark’s DAC and not its preamp section, because when I ran the SuperNova through the DAC1 HDR’s preamp, the sound wasn’t as hard and edgy with these recordings as when I ran the ’Nova’s digital output through the Benchmark’s DAC. For example, Blue Rodeo’s Outskirts (CD, Discovery 74101) is a 1987 digital recording that’s hard-sounding to begin with, and sounded harder than I like through the DAC1 HDR. That same hardness shows up through the SuperNova, but it’s not as objectionable; the Benchmark sounded just a smidgen coarse. John Mayer’s 2008 live album, Where the Light Is: John Mayer Live in Los Angeles (CD, Columbia 8869722665), is a much newer recording than Outskirts, but its sound is just as bad, if not worse. Through the DAC1 HDR, the clapping audience sounds like bacon frying with a little extra sizzle, and Mayer’s guitar is way too steely. These same characteristics show up through the SuperNova, but its top-end sweetness makes the album more tolerable and listenable over the long term. This aspect of the DAC1 HDR’s performance is the only one I can fault in any significant way. It’s slight and, for the price, forgivable, but it’s not isolated to this model. When I reviewed the original DAC1 about six years ago, I compared it to the Stello DA220 DAC, which then cost $200 more. At the time, I thought they sounded identical. But over time I discovered that the DAC1’s top end sounded a touch harder than the DA220’s, and I experienced the same kind of effect with certain recordings that I did when comparing the DAC1 HDR and the SuperNova. I have no idea what accounts for that in the DAC1 HDR, and it’s not at all apparent with good recordings. But it’s present to varying degrees with poorer discs. I suggest auditioning the DAC1 HDR with as many different recordings as possible to see if its high-frequency performance is to your liking. For a DAC, preamp, and headphone amp rolled into a single compact chassis, Benchmark’s DAC1 HDR is hard to fault -- but there are small issues. The single set of analog inputs is, to me, a real shortcoming: If you want to connect more than one analog component, you can’t. That could be a deal-breaker for those who want to take Benchmark up on its offer of using the DAC1 HDR as a true preamplifier, which is what they claim it is. The volume ramping up too quickly via the remote control, and the DAC’s upper-frequency hardness with some recordings, will annoy some more than others. For those issues, it will be a matter of trying it out and seeing if it suits you. Still, such limitations shouldn’t be surprising, given that the DAC1 HDR costs only $1895. 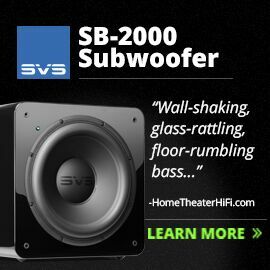 I know of no other component that offers these three functions and such a high level of sound quality across the board. The DAC1 HDR can be compared with components costing much, much more -- which is exactly what I did in my listening. 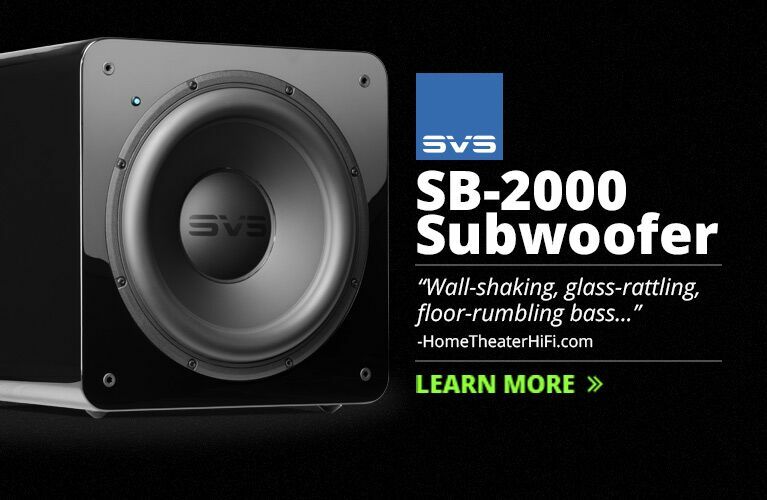 What’s more, it’s small and light, making it easy to place in your room, and its bold, dynamic, detailed sound will surprise those who think they need big separates to get a big sound. 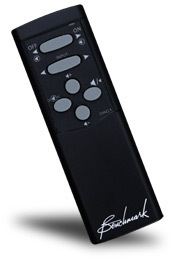 The Benchmark’s size, weight, and functionality make it ultra-convenient. For audiophiles who can live with only one analog input, Benchmark’s DAC1 HDR is a steal. Like the jack-of-all-trades entrepreneur whose skills allowed him to do the work of many, with results that could be bettered only by bringing in specialists, the DAC1 HDR delivers a rich feature set and top-quality sound for much less than you’d spend on three separate components. Those who want more than the DAC1 HDR offers can indeed get it with separates, but only by spending a lot more money and sacrificing a lot more space. The DAC1 HDR has a few faults, but it’s easy to recommend -- highly! Warranty: One year, extendable to five years in the U.S., or to two years elsewhere.